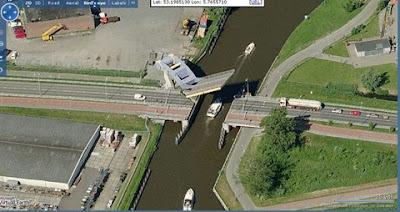 Workplace Safety Blog | Safetycare | Safety Training Videos | Free Safety Pictures and Resources: Amazing cantilever bridge in the Netherlands! 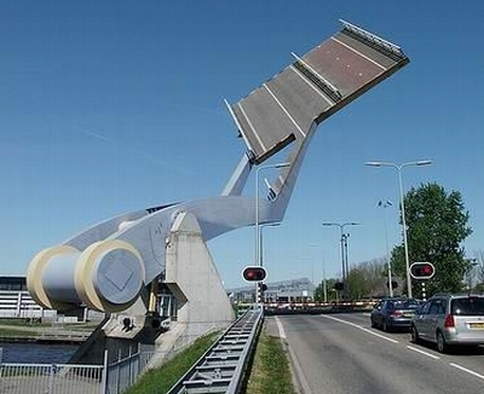 The Slauerhoff Bridge is a fully automatic tail bridge in the city of Leeuwarden in the Netherlands. It uses two arms to swing a section of road in and out of place within the road itself. 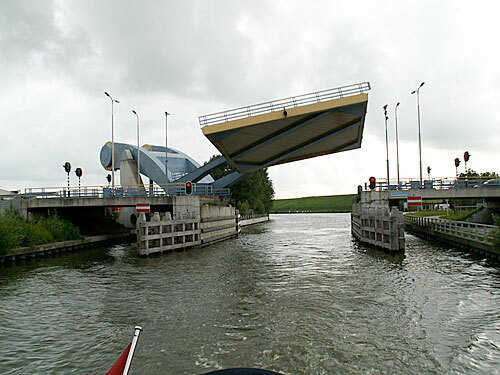 It is also known as the “Slauerhoffbrug ‘Flying’ Drawbridge”. A tail bridge can quickly and efficiently be raised and lowered from one pylon (instead of hinges). This allows boats to pass quickly while only briefly interruppting the flow of traffic.